Offering a huge range of accommodation options surrounded by a spectacular rainforest sanctuary, Berjaya Langkawi Resort enjoys views of the Andaman Sea and vibrant mountain jungle just minutes from Oriental Village, the Unesco World GeoPark, Langkawi Cable Car, Pantai Kok Beach and the Seven Wells Waterfall. Located directly on Pantai Cenang beach is the boutique style Casa del Mar, Langkawi offering suites ideally suited to couples looking for somewhere to spend a memorable honeymoon or relaxing escape in Malaysia. 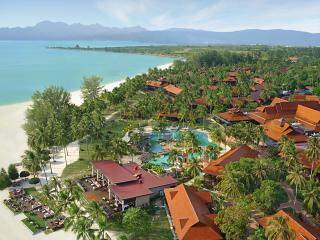 This Langkawai accommodation boasts a pool bar, swimming pool, day spa, restaurant, water sports and more. The Casa del Mar, Langkawi is perfectly set within walking distance to a great selection of local dining options and the International Airport is a mere 10 minute drive away. Offering luxuriously-appointed 4 star accommodation on a scenic beachfront in Langkawi's local historic district, Century Langkasuka Resort is centrally located to the region's most popular shopping, beaches and attractions and is also home to the largest infinity pool in Langkawi. Located on the west coast of Malaysia, Century Langkawi Beach Resort is situated on 38 acres of tropical gardens just minutes from Pantai Kok Beach, Langkawi Beach, the Langkawi Cable Bar and Oriental Village. The resort also boasts its own stretch of private beach for guests to enjoy. Located on one of Langkawi's best beaches, Four Seasons Resort Langkawi is set on the shores of Tanjung Rhu and seamlessly blends high levels of service with all the modern comforts and unique Malaysian architecture. The resort is also just minutes from attractions such as the Kilim Karst Geoforest Park and the Sky Bridge and Langkawi Cable Car. 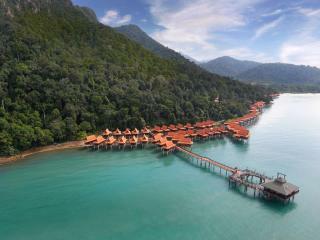 Meritus Pelangi Beach Resort Langkawi is located right on Cenang Beach, amidst 30 acres of lush tropical gardens. Guests are accommodated in deluxe timber chalets inspired by historic Malaysian architecture and on-site facilities include restaurants and bars, kids club, swimming pool and more! From here you are only minutes from the Rice Museum Langkawi, Pantai Cenang Beach, Cenang Mall and Underwater World. Located just footsteps from one of the most popular beaches in Langkawi, Tanjung Rhu Resort takes its name from this stunning stretch of sand and offers 5 star accommodation within minutes of local attractions such as the Hot Springs Village and Black Sand Beach. Situated in the northwest of Langkawi, The Andaman a Luxury Collection Resort, Langkawi enjoys picturesque views overlooking Datai Bay and offers stylish, modern accommodation surrounded by a beautiful natural environment featuring local flora and fauna as well as fringing coral reefs teeming with marine life. Offering luxurious 5 star accommodation positioned at the mouth of Datai Bay, The Danna Langkawi is situated on a pristine white beach on the west coast of Langkawi. Enjoying a beautiful British Colonial influence that reflects early Malaysia, the resort is surrounded by a stunning valley covering in lush green foliage. Enjoying views of the Andaman Sea and further out to distance Tarutao Island, The Datai Langkawi boasts 5 star accommodation surrounded by a private beach and stunning ancient rainforest on picturesque Datai Bay. Conveniently located, the resort is close to the Seven Wells Waterfall, Langkawi Crocodile Farm and a range of popular local attractions. 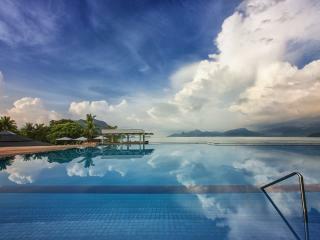 The first Westin-branded resort in Malaysia, The Westin Langkawi Resort & Spa offers 5 star luxury accommodation set on a beautiful private beachfront exclusively for guests use. An intimate atmosphere is created through discreet personal service and the breathtaking garden, woodland and Andaman Sea surrounds. A stunning island destination offering comfortable accommodation and relaxing resorts surrounded by the breathtaking beauty of unspoilt beaches, lush green valleys, woodlands, mountains and marine life.